I have written a lot about keyword research and its benefits. One of the major mistakes I have seen many people make is that they will target direct keywords instead of long-tail keywords (LTK) . You may notice that the last two keywords have fewer searches, but the competition for these two keywords is far less than it is for the short-tail keyword. Also, long-tail keywords drive more targeted traffic than short-tail keywords do, so your conversion (sales, email sign-ups) improves a lot. If you want to learn more about this subject, check out How long tail keywords could equal massive success. In this post I am sharing some of the best tools for finding long-tail keywords in any niche. Note that some of them are free, and a few of them are paid. I will explain the features of each, and you can choose any one that suits your needs. 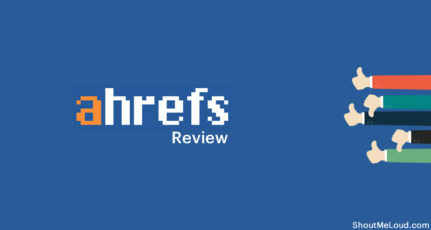 This one is one of my favorite free long tail Keyword research tool. This one is in the line of Ubersuggest but offers one unique proposition. Using this tool, you can search for any Keyword & it would show you common questions asked around that “Keyword” “Topic” in search engine. This is the tool that all the SEO guys use as a complete SEO suite. SEMRUSH is the first finest SEO tool that was ever built to find keywords that your competitors are ranking for. 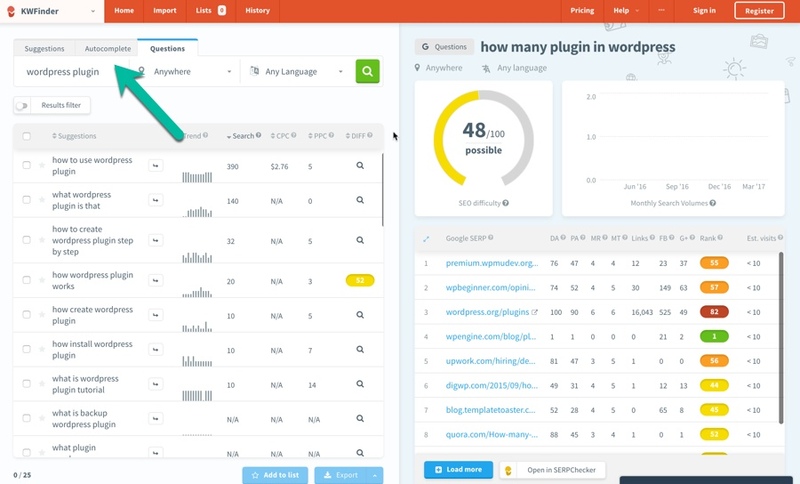 Unlike traditional keyword research, SEMRUSH takes away the guess work & help you quickly find long tail keyword from any website. 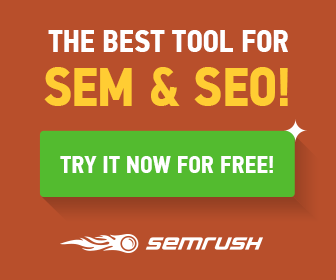 If you are looking for one perfect tool for long tail Keyword research, look no further than SEMRUSH. 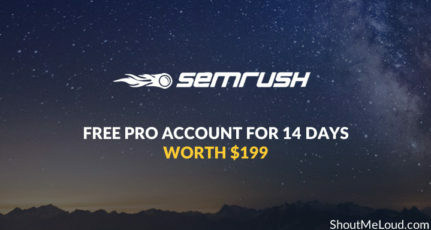 You don’t have to believe me rather for next 14 days use SEMRUSH for free. 2 weeks are enough to help you decide if SEMRUSH is for you or not. 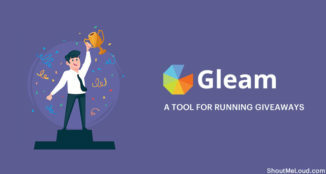 This is one of the newest entrant in the Keyword research tools market. However, the kind of features & functionalities KWfinder offers, it’s certainly one of the best tool out there. KWfinder provide all important data about the keywords including difficulty level to help you find the easy to rank long tail Keywords. Persoanlly, after SEMRUSH is this is the second tool I use & recommend. The auto-suggestion feature of Google search is your first free tool. This is a handy feature from Google, which will allow you to easily find long-tail keywords in any niche. Google auto-populates keywords (search terms) based on popularity. All you need to do is start typing your first keyword, and select the options from the auto-suggestion. This is a tool by Keyword Tool Dominator which actually takes the default feature of Google’s auto-suggestion to the next level. With this free tool you can easily find all auto-suggested keywords, and it will allow you to download keywords in .csv format. 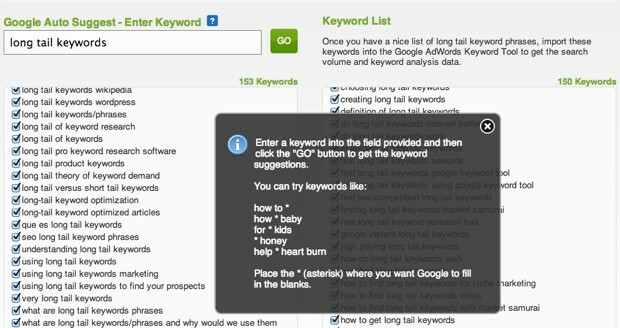 You can then use any of your favorite keyword research tools to check other important details about the keyword. If you are using Google search to find new long-tail keywords, I highly recommend that you make a shift to this one. WordTracker is a popular SEO keyword tool. 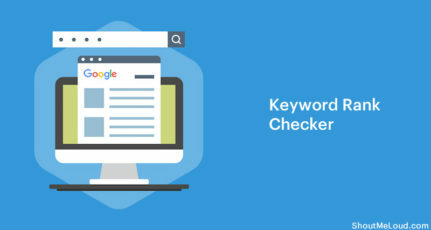 Using WordTracker Keyword Tool you can easily find profitable long-tail keywords along with important details like searches, competition, IAAT (keyword in anchor and text) and KEI (keyword effectiveness index). You can create a free account for WordTracker and start using this tool right away, or grab a 7-day free trial of their advanced version as suggested above. Here is the link to sign-up for a free account. LongTail pro is another paid tool, and it offers many features in addition to finding profitable long-tail keywords. They used to be desktop based solution & now everything is on cloud. They are popular among niche marketer & a good tool if you are looking for paid options. 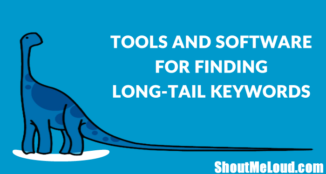 These are some of the best paid and free long-tail keyword tools and software I have tried and can recommend freely. Once you have compiled a list of keywords, your goal should be to write down high-quality content, targeting those keywords. You can check out this guide to understand what you should focus on in order to create high-quality articles. And here is a guide to making your article’s keywords targeted. 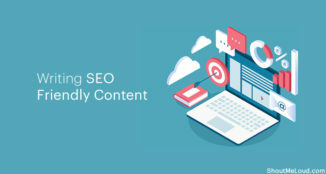 The key is to write content targeting your users, and then work on optimizing things like heading tags, meta title and description, readability, LSI and keyword density, to make your article search-engine-friendly. If you know of other free tools or software for finding profitable long-tail keywords, do let me know via the comments section below. Do share this collection with other blogger friends on Facebook and Google Plus! I have personally used Semrush…..And will advice to subscribe to full version instead of free trial inorder to enjoy the real benefits of the same. One of my favorite strategies for finding high-value keywords is to target highly-specific long-tail keywords: phrases that will do a great job of matching user intent. In addition to being far more likely to result in conversions, these will also generally be easier to rank for and cheaper to bid on. 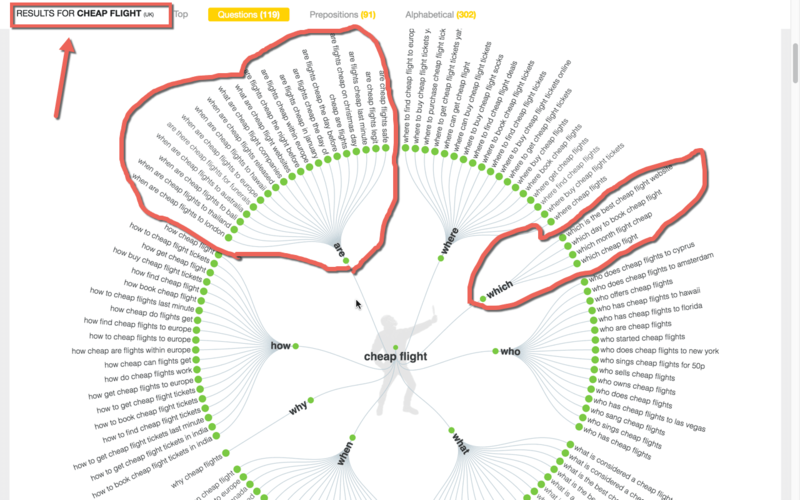 A tool like HitTail can help by suggesting long-tail keywords via a visual long-tail chart. Using its proprietary algorithm, the tool looks at your existing traffic to determine which long-tail phrases you should be targeting to grow your traffic. Love the list Harsh, Semrush is my favorite tool by far, it has everything i need and their support is always on point. I am using SemRush, KwFinder and Google auto suggest tool. All of them are working very good for me. Thanks for sharing your knowledge with us :). 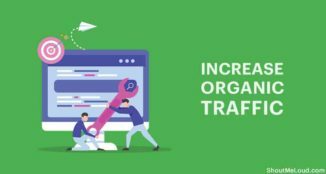 I have read all your articles about keyword planner and all were helpful.This article is also a great article and helped me a lot.Thanks you so much for this great article. Hi Harsh, thanks for the useful article for our industry. My seniors are looking for good keyword tool. Let them show this article. I already showed ubersuggest for longtail keyword search which I have found here earlier. Hello Harsh, i always enjoy your blog post. This post is as informative as your other post. I used google keyword tool because i thought it was best but after reading this post i tried semrush and i found that it is smarter than google keyword tool. I really like it. B.T.W, keywordtool [.] io is also good for long tail keyword, you can add this in this list if you want. Hii Harsh, This is awesome article .Thanks for the useful article.i really was looking for the best keyword tool for my new niche site, and i found it here, thankyou for sharing it. Keep sharing such a good post.. Excellent post and super helpful for people just starting out. I’d like to know what you think about the tools from Moz? I started using the tool this month, and so far it is really helpful. Thanks again! Woah, it’s really complete. But i think you missed one tools. 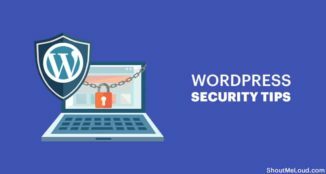 Keywordtool (.) io is one of good tools which can be used. I usually use it. Before it, i just was using ubbersuggest. Many seo blogger recommended it. But now, i’ve known many tools from you. Thanks mate! I made keyword research using SEMRUSh, and then I am using this result using long tail pro keyword. But Why it is having different result. SEMRUSH told me this keyword is easy to rank, but Why long tail pro tell me that this keyword is difficult to rank. I want to use long tail pro because it is small budget. I’ve been using Google Auto-suggest for a while. I just love this tool. It doesn’t only help me to get long tail keywords but also to get some other words that helps me generate more traffic from search engine. Hi, I checked all websites what you mentioned in your article. But there is no long tail pro alternative keyword tool. All are paid service. The long tail pro is very unique. 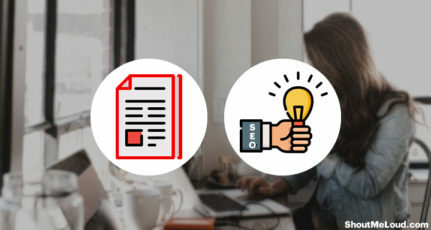 I am looking for such as keyword tool what will guide me search volume, cpc, keyword difficulty and inbound and outbond links and other seo score for free. Google ad-word tool do not provide ranking difficulties. And the other hand, Google search engine shows keyword suggestion automatically but we did not discover: search volume, ranking factors and difficulty. I am not pretty in English. Hope you will publish my comment.